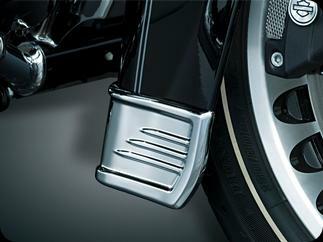 Go from down & dull to classy & chrome with our new Front Fender Skirt Accent. It chromes the lower portion of your front fender without having to disassemble or even fumble with any tools. Made from chrome plated stamped steel, this new accent will add class thats made to last.